The All Blacks say neither flanker Liam Messam nor referee Wayne Barnes should field the blame for a late penalty which lost them the Test against the Springboks. 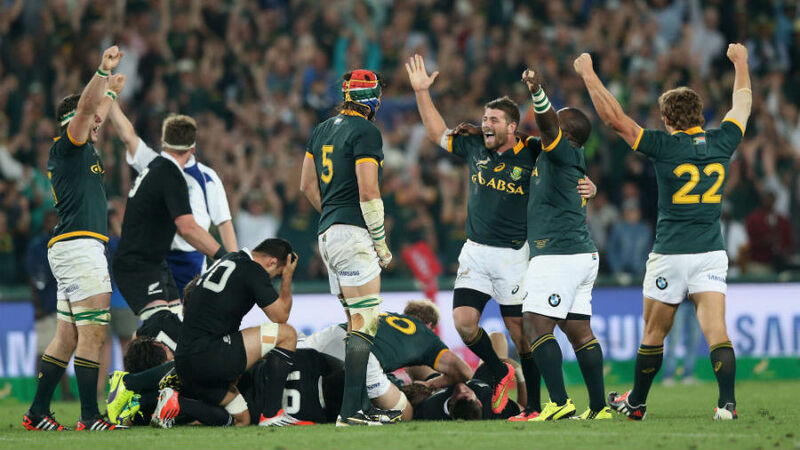 Pat Lambie launched a 54m strike between the uprights to clinch a pulsating Test 27-25. Lambie later admitted the distance was at the outer limits of his range and needed a boost from the thin atmosphere of the highveldt venue. Messam was penalised for a head-high tackle on opposing reserve loose forward Schalk Burger. Burger appeared to be falling and All Blacks captain Richie McCaw described the contact as "bad luck". Coach Steve Hansen joined McCaw in refusing to criticise Messam, nor Barnes. "Liam was pretty unlucky but I've got no problem with the penalty, because he made contact with the head. But it's certainly not Liam's problem either," Hansen said. It was just the second loss in 37 Tests as head coach for Hansen, who was proud of his side for their fortitude. He felt they lost the Test in the first half hour when the Springboks were able to rattle their set piece and disrupt the breakdown. "It would have been interesting if we hadn't given away the penalty, which way it would have gone. But we've got no excuses. We've been beaten by a team who played better than us by a little bit today." McCaw says the pulsating nature of the Test reflected the status of two teams ranked the world's best nations and continued a recent trend of ferocious contests. It will also prompt some introspection ahead of a Test against Australia in Brisbane on October 18. "We're going to have to have a look at where we're at."